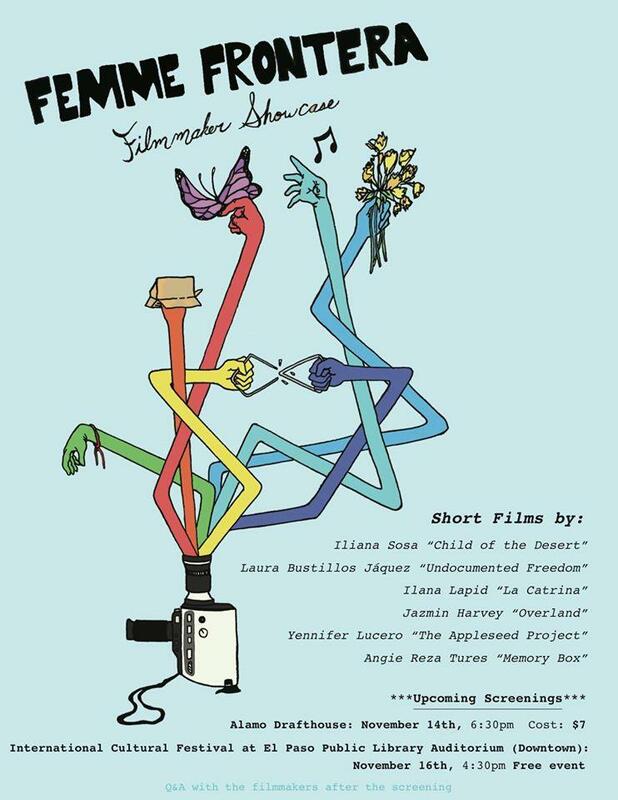 Women filmmakers in El Paso are a strong, united force, and on this program, we'll visit with Angie Reza Tures, organizer of the Femme Frontera Filmmaker Showcase. The festival will feature films by Laura Bustillos Jáquez, Iliana Sosa, Ilana Lapid, Jazmin Harvey, Yennifer Lucero, and Angie Reza Tures. The public has 2 chances to catch these films: Mon. Nov 14 at 6:30pm at the Alamo Drafthouse Cinema ($7), and Tue. Nov 16 at 4:30pm at the El Paso Public Library downtown branch (free).